Chances are, you've found us on Google or Yahoo, and you're a real estate agent or small business looking for someone to help you put your website at the top of the search engines. Even if you are a local restaurant on a budget and not ready to invest a lot of money in a website, you still need an online presence. Most people don't even use a phone book these days! No matter what, if you've got a business, you MUST have a website. We've been in the business for ten years and we can help. The one thing that sets us apart from all the other website companies is that we will design even the smallest website so that you can add on to it later and it will be set up to be as completely search engine friendly as possible. Most other website companies try to produce a site as quickly as possible, and SEO (or search engine optimization) is a secondary consideration. Most of the companies in the Myrtle Beach area that claim to do SEO do little more than submit your site to a bunch of spam-producing directories or charge you by the month to do worthless link exchanges. By the time you find out that doesn't work, you've wasted hundreds of dollars. We are legendary in the Grand Strand area for SEO...having produced the top rankings of websites such as CondoLux, Myrtle Beach Condos.net, C21 The Harrelson Group, and many others. We help to build optimized content so that you or your SEO company can take it to the next level without redesigning your website first. We'll research your keyword strategy and give it to you on a silver platter so that all you have to do is social marketing. If you are a Realtor, and you've decided to invest the time and cost involved to make YOUR website the top ranking real estate site for your city, congratulations. You've taken the first step towards increasing your sales and letting buyers know that you are the best agent around. The experts agree that 80% of all property buyers research the area for a home or condo on the internet before they contact an agent to buy. Be sure your website is designed so your customers can find you, as well as exciting enough to make them choose you! Sadly, most real estate websites are never seen except through signage or pay-per-click ads. A well crafted real estate website at the top of Google's organic search results is nearly priceless. The best results come from a combination of YOUR effort in providing photos, videos, and information and our knowledge of how to turn it into an engaging, customer pleasing testament to your abilities as their agent. Myrtle Beach on Facebook, and join the Myrtle Beach Community on Google Plus. 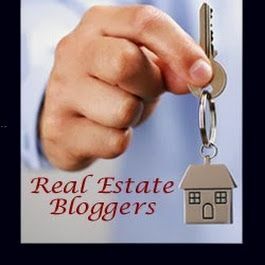 Join the Real Estate Blog Community! Real Estate Blogs are an absolute necessity to compete in today's internet market. Most other businesses will need a blog to help with SEO and sales, too. We can set up your free blog on Google's Blogger and in most cases tailor the look of it to match your website. Blogs are great tools for marketing, but you have to know how to write and link in them to benefit your site the most. We can get you started and train you in effective blogging. In Myrtle Beach other popular cities and resorts, SEO is so competitive that you have to have a blog to even hope to show up on the search engines for the useful keyword phrases. Myrtle Beach SEO - Beware of Local Companies Using Our Name! SEO Web Design, or Search Engine Optimization, is a highly specialized business, which, though widely advertised, is seldom from a reputable company who can produce long term results. Several years ago, link exchanges and link directories were the principal method used to help rank a website. Unfortunately, most of the SEO companies that you find through advertising and email solicitation are still doing this, often utilizing labor from India or some third world country to send out spam emails, begging other real estate sites to do link reciprocation with their "clients". Not only does this no longer work, but you can seriously damage your website's standing with the search engines from doing it. There are several local website companies in Myrtle Beach that are advertising themselves as "Myrtle Beach Web Design". These companies are riding on our name, reputation of search engine rankings, and they are misleading business owners. WE HAVE SEEN NO OTHER LOCAL companies THAT UNDERSTAND SEO. There are some that do - not many at all - and none of them are in Myrtle Beach or even on the east coast. Website companies have all had to claim they have this knowledge to stay in business now. Almost none really do. If you want a "pretty" website, that is easy to come by. Just realize that's all you will get. Look on Google at the top ranked businesses and call them for a recommendation on SEO providers before you pay good money for nothing. ALL our business comes from referrals and we have more than we can handle. That should tell you plenty. If we design your business website, or accept the challenge of improving your present one, our services are based on CONTENT. This is not a monthly deal or a link buiding service like the other SEO services advertise - THAT NO LONGER WORKS - But rather we will set you up with the proper tools, make your site as "search engine friendly" as it can be, and train you or your employees how to continue to provide your site content and promotion. This is the ONLY method that will help you now and in the future. Your goal is to be found in the search engines and make your site a useful resource that your customers will return to and recommend to others. We can usually work with your present designer, or start from scratch and obtain this goal for you. Our company started in 2002, in North Myrtle Beach, SC, helping local businesses and restaurants. We found our niche in area vacation rental sites and websites for real estate agents. We seldom advertise our services, post on forums which get the search engine staffer's attentions, or otherwise draw attention to ourselves or our clients in this way. A legitimate SEO company gains customers by word of mouth and does not have to email strangers or beg for customers. Try to remember that when you are shopping for an SEO web design service! Having a website without search engine placement is like having an expensive billboard sign that faces the wrong way. Not Very Smart. Also, if you are looking for a top notch designer for a complicated website, we highly recommend Paul Hanak Website Design. Myrtle Beach Web Design, Inc. Copyright 2014 Myrtle Beach Web Design & Cal Graphics. All rights reserved.